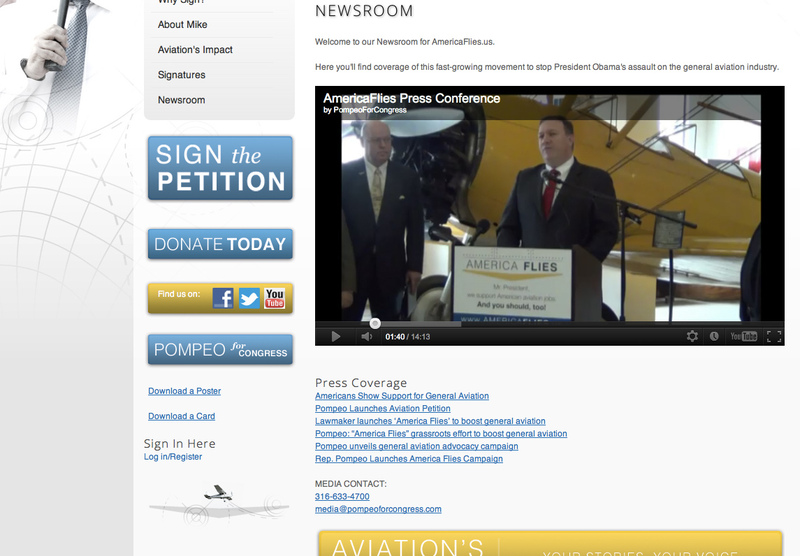 I was asked to be a part of the branding, design, and web development throughout this project. 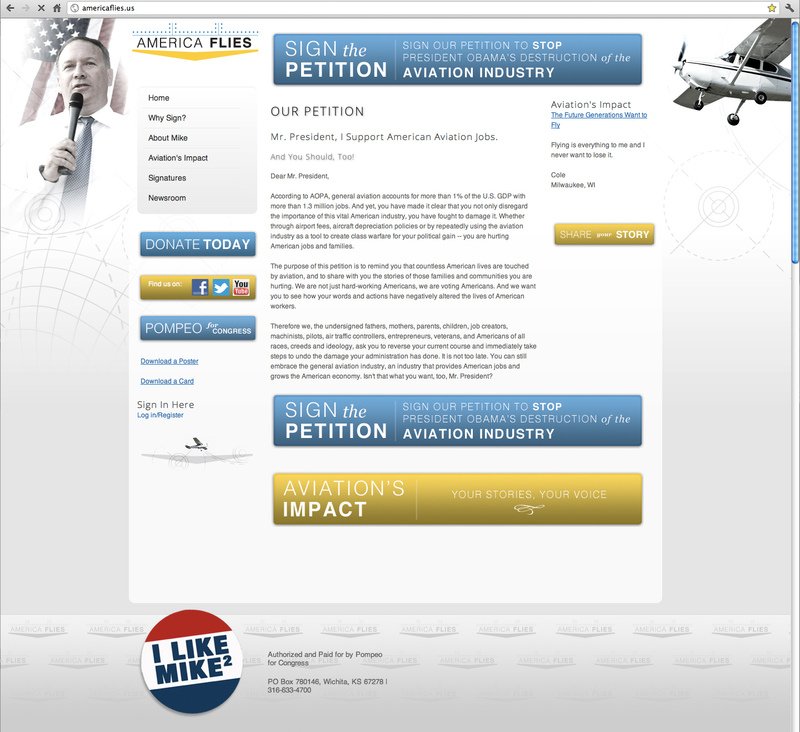 With the help of their campaign staff and community volunteers the project took shape surrounding the aviation industry. Every part of this project was required to feel at home in the daily lives of those in the aviation industry. Here in Wichita we are involved in building most every type of airplane. You can’t go a day without meeting someone who builds, pilots, or commercially/personally flies airplanes, they are a part of our daily lives. We created a section on this website specifically tailored to telling your stories about how the aviation industry is vital to your life (seriously!). 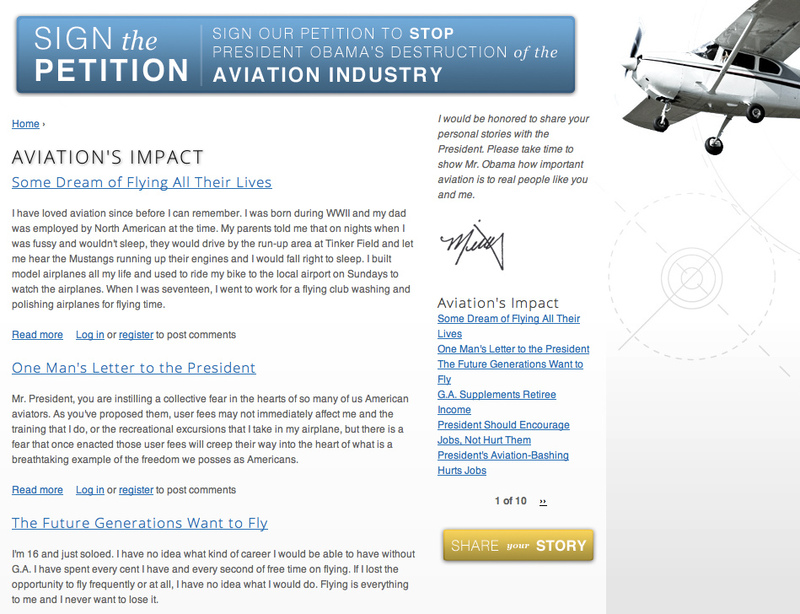 If you have a personal story of how the aviation industry has changed your life please sign the petition and share your story.